I'm gonna be up front about this: if you tell me that any food or beverage has Rosé in it, I'm down for a taste. You could literally tell me that you boiled an old potato in a pot of Rosé, and I would still grab a fork and brace myself for the worst. I'm a woman of simple pleasures, and wine is one of them . 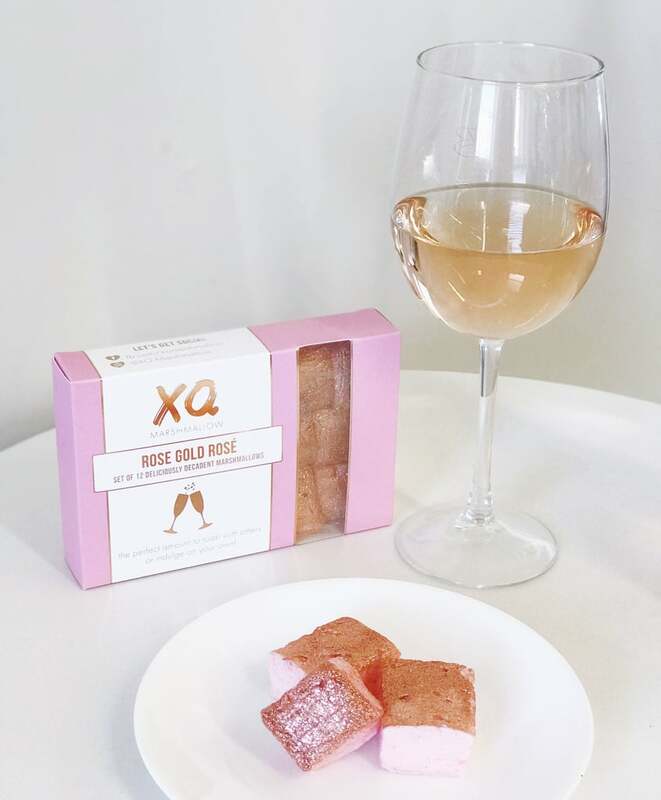 . . so when my colleague was delivered a package of glitter-coated marshmallow cubes infused with Rosé, I jumped at the chance to do the first taste test. When tasting the sweet treats, I was immediately shocked by just how much they taste (and smell!) like Rosé. Before I even bit into my first one, I was worried that I'd hate it . . . it didn't even smell sweet, just fully like wine! Luckily, the marshmallow is much sweeter in flavour than in scent, offering up a great balance between traditional sweetness and a tart, fruity taste that's undeniably Rosé. Other editors around the POPSUGAR office also loaned their taste buds to the cause, but not everybody enjoyed the Rosé-mallows as much as I do. "They're great for Instagram, but I'd rather just have a glass of Rosé," reviewed one. A perfectly valid opinion, considering that I, too, love a good glass of Rosé! But consider this hot take: what if you dropped one of the glittery marshmallows into your glass and created a marshmallow cocktail of sorts? I'm just throwing out ideas. Check out photos of the boozy-flavoured treat ahead, then preorder a dozen ($15) for your own happy hour!